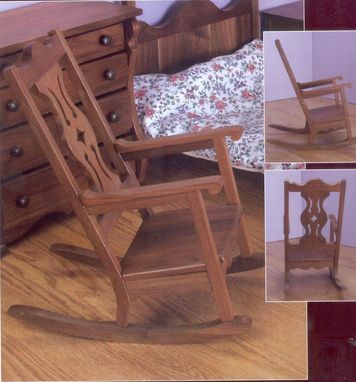 This rocker is designed to fit all 18" dolls. It is made from Oak, Maple, Cherry or Walnut and finished with a natural finish to bring our the grain and character of the wood. It can also be made from Popular and painted.